Oh Jesus, look at that net income history – it’s horrible! I should have just posted that in my blind stock challenge and asked: Would you buy this stock..?! Then, of course, there’s the original core of HTEC, i.e. CEM, and its steadily declining revenues & increasing losses! 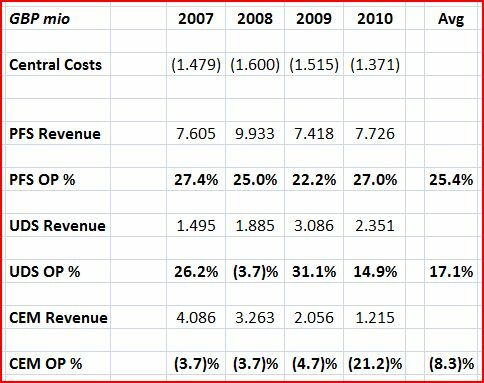 Plus constant goodwill/restructuring write-downs, coupled with an apparently wasteful level of R&D spending… Not surprisingly, all accompanied by numerous management & director changes. All a part of Universe’s long, painful & stop-go evolution from a manufacturing & product sales company to a software/transaction solutions provider, focused on increasing recurring revenue streams. This finally led to a clean sweep in May/June 2011, with Stephen McLeod and Robert Goddard appointed CEO & Non-Executive Chairman. Both engineers by training – McLeod’s had a career working in corporate strategy and the chemical & travel management industries, while Goddard’s background was with Burmah Castrol, managing their fuels & chemicals business. They’ve also shared certain company directorships, having worked together over the years. Goddard’s focus on advisory & turn-around assignments, in the past decade or so, is particularly relevant here. In fact, this new career phase kicked off with a v successful 3 yr CEO stint at Amberley Group, where he turned-around & sold off their chemical businesses. Rather intriguingly, a significant UNG shareholder (Progressive Asset Management) was on the register at the time. Is there a connection? Checking the latest Brookwell Ltd (BKWD:LN) annual report, we find: ‘Brookwell introduced a new chief executive and chairman to the board of Universe Group.‘ Aha! And their latest interims confirms UNG as a small but Top 10 holding for them. Think this is too aggressive? 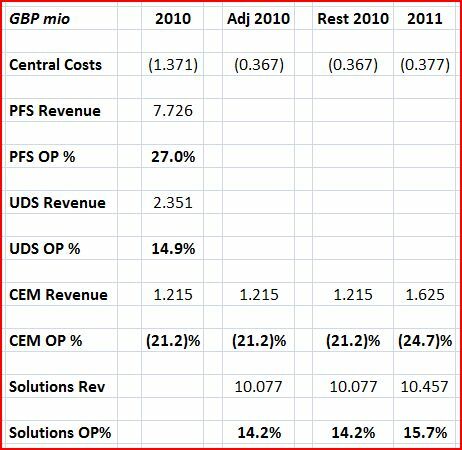 Well, overall R&D expense in the 2011 P&L was actually GBP 1.6 mio, a rather colossal 13.1% of Revenues! This suggests plenty of scope to trim R&D spending and increase Operating Profit to this higher level. With the new suite of products coming on-line, this also suggests a significant R&D reduction in the near-term (and increased revenue opportunities, of course!). Now, let’s talk catalysts: I didn’t highlight a change in management in my catalyst series. Mainly because it’s mostly not (particularly if there’s internal recruitment), it’s usually more of the same… I don’t have a great rule of thumb either for you to identify management that will actually effect significant/immediate change – it’s v case-specific! But with Universe, the arrival of Goddard & McLeod is clearly a catalyst. We also have at least two activist investors on board as another potential catalyst..! The first I mentioned, Brookwell (with a 10.6% stake) is an AIM realization vehicle, and is quite prepared to use activism to liquidate holdings at a good price. The second I’ve saved as a surprise: Vianet Group (VNET:LN) (formerly Brulines Group), a much larger competitor to UNG! Yes, Vianet’s had an 11.5% shareholding ever since a failed bid for Universe in 2009/10. Ennismore Fund Management has an even larger 13.5% stake – they aren’t noted for activism, but they’re a v well respected small company investor. Finally, current & former directors hold 12.1% (and McLeod has 3.4 mio zero-cost options exercisable only if the share price is at/above GBP 5p). If all that doesn’t ultimately spark an ‘event’, I don’t bloody know what will..!? To recap: Universe has been slowly transforming itself into a high-margin software/transaction solutions provider. 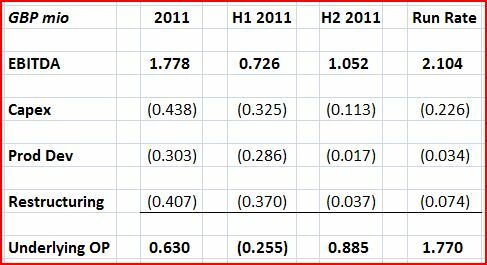 But underlying margins & success have certainly not been apparent in the last 5 years worth of P&Ls! That’s what this post, and my Jewel in the Crown strategy, are all about: Digging for true underlying business value. The core business is high-margin, with a blue-chip client roster and high barriers to entry5. But it’s been far too starved of capital, and dedicated management attention, over the years. Imagine the scope for UK consolidation & European expansion if the business was truly unleashed..!? Sure, Universe can generate healthy revenue growth from here on (esp. with its new product suite), and debt won’t be a risk much longer – but turbo-charged expansion (which is entirely possible) requires much more capital. A share placing would be dilutive, and in terms of amounts raised it just doesn’t move the needle anyway… A takeover by/merger with Vianet is the obvious answer. Or perhaps Universe can find a much larger sponsor to partner with in European expansion? But for any interested party, it would simply make more sense to pay up a little & acquire Universe. So, what’s this all mean in terms of valuation? Well…first: UNG’s a v small-cap company, debt needs to be paid down a little more, and (by the v nature of its business) clients are highly concentrated6. And, as usual, I’ve competing priorities for cash & other potential buys. This will limit the size of any stake. But I know the valuation will be tempting..! I currently have a 1.75% portfolio stake in Universe Group (UNG:LN). ¹ All figures on a pre-exceptional/continuing basis, if possible. Net Income figures are all actuals. 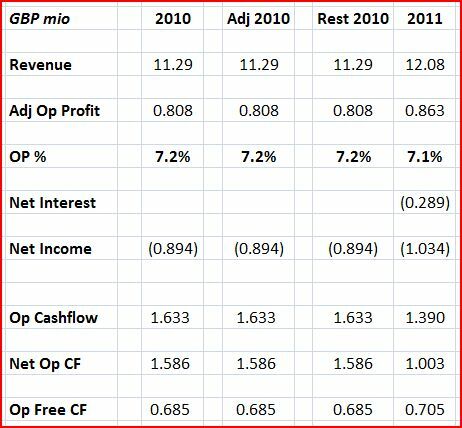 Op Cashflow & Net Op CF are before/after working capital adjustments, respectively. Op Free CF = Net Op CF less net Capex/Development spending. btw Email wexboymail@yahoo.com if you want the entire file. ² A reminder of the widespread variability that still exists in allocation methods. Ideally, more aggressive allocation provides a far better indicator of the potential stand-alone/sale value of a division, and is therefore v welcome. 4 Capex includes a FY GBP 310 K of finance leases, and ignores any actual/potential property, plant & equipment sales. 5 Universe provides mission-critical services to its clients. It draws up tailored Service Level Agreements (SLAs) which are monitored weekly and discussed quarterly with clients. SLA performance of 98% was achieved in 2011. The requirements for obtaining and maintaining bank/security approvals & certifications is onerous. These allow the company to operate as a payment system provider, and require continuous product & process refresh. 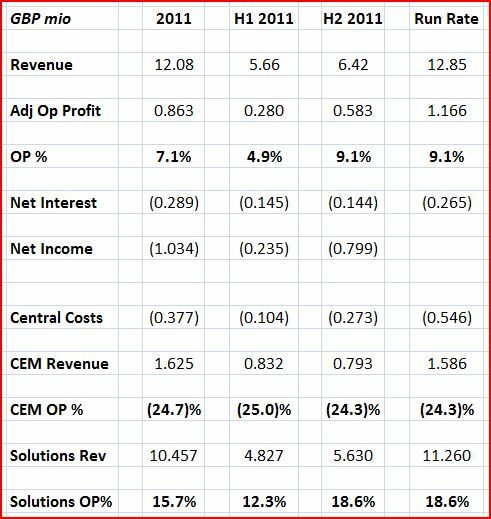 6 Top 5 clients (all blue-chip, of course) accounted for 71% of revenues in 2011. 7 (I’m definitely showing my trading age with some of these ‘fractions‘..!) Some readers might like a recap re my valuation methodology: Over the years, I’ve observed a (v logical) correlation between operating profit margins and the Price/Sales multiple at which a company’s market capitalization trades. 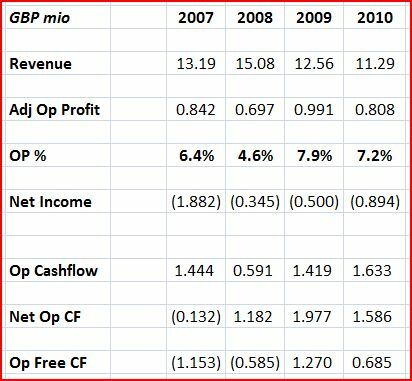 Observing market and M&A multiples, I’ve concluded on average a 10-12.5% operating margin is awarded a 1.0 P/S multiple. Of course, every case is different – you’ll find plenty of companies trading above/below this, often deservedly. And if they’re over-leveraged, this all goes out the window (like most valuation metrics). As margin expands, so does the P/S multiple, but at a faster pace (akin to the expansion of the P/E ratio for faster growth companies) – this might imply a 40% operating margin could easily be awarded a 6-8.0 P/S multiple! Others may prefer an EV/EBITDA approach, but P/S works really well for me. Relying solely on P/E ratios is dangerous, in my opinion, but let me try relate what I’ve laid out in a P/E context. Let’s say a company’s got 100 revenue, and 12 operating profit. This deserves a 1.0 P/S multiple, i.e. a 100 market cap. Now, let’s look via earnings: After avg. net interest, we’ve 11 pre-tax profit. Assume an avg. 30% tax rate, giving us about 8 net income. We’ve no idea on earnings growth, but the avg. historical P/E ratio’s around 12, implying a 96 market cap., almost dead-on with our P/S methodology! As I predicted above, Universe Grp (UNG:LN) has now sold its CEM unit. Goodbye hardware/losses – hello software/payments pure play! So where do you see the share price here heading? I was in Universe last year – I bought in at 1.5p and sold at 2p and was very pleased with a 33% ROI. 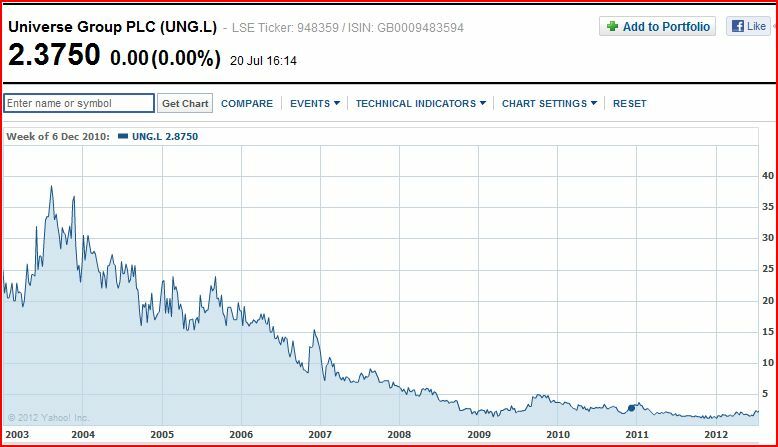 You think its worth getting back into UNG even at the current SP of 2.38p? It’s funny, company write-ups often seem to be greeted with some significant news from the company itself..! Certainly the case here. I’ve mixed feelings about the placing – fortunately, my position size & the intrinsic value upside allow for this risk, even though I’d definitely prefer not to see it. I stand by my comment that a placing just wouldn’t move the needle – a net GBP 1.5 mio raised proves that point! But there’s one key sentence in the placing that I was really delighted to see… I will be posting more on this shortly. You’re onto something here. Looks like it’s worth 9p.